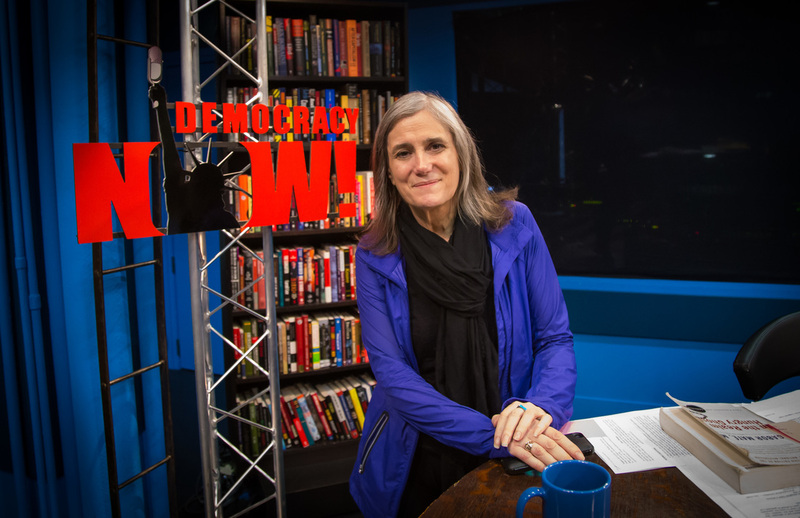 Throughout her decades long reporting career, Amy Goodman has distinguished herself as one of America's most outspoken and principled journalists. Not only that, as the host and driving force behind the daily current affairs program Democracy Now! she helped create a worldwide movement in independent media, and a program that now airs on over 1300 stations across the United States and around the world. In this interview we speak with Amy about her early childhood forays into journalism, about her years at Harvard as an undergraduate and her time spent working in Maine at a co-op where she became increasingly political, and discuss her philosophy as to why a healthy independent media is so crucial to a functioning democracy. For over 15 years Alex Blumberg was a producer at This American Life, where he gained acclaim for producing superb and timely investigative pieces like The Giant Pool of Money, and When Patents Attack. But since August he's found himself in a decidedly new role, as the CEO of a startup podcasting company called Gimlet media. And through a bit of luck and procrastination, we were able to catch up with Alex Blumberg in both roles! So this episode we bring you a very special interview in two parts - both pre and post setting off to found his own company - with radio producer extraordinaire, Alex Blumberg. It's safe to say that NPR is probably better known for serious in-depth reporting and coverage of domestic and international affairs than for its humor and ability to make listeners laugh, but as one of NPR's most popular programs demonstrates, public radio doesn't have to be serious reporting all the time. In fact, as hard as it can be to imagine (at least while listening to the hourly news) it can actually be a lot of fun! Wait Wait... Don't Tell Me! is certainly proof of that. Not only is it funny, but it is one of NPR's staple programs, regularly attracting over 6 million listeners and broadcast on more than 500 stations across the country. It's a news quiz, but one that definitely doesn't take itself too seriously, and is more about wit than getting any answers right. In recognition of this lighter side to public radio. we spoke with the funny and charming host of Wait Wait... Don't Tell Me! Peter Sagal about his unlikely beginnings in public radio, the role of comedy in politics, and about his propensity for being a subversive overachiever from early on. I was far too self-conscious to be the class clown because the true class clown has to be subversive, the true class clown has to be willing to get him or herself thrown out of the class and that so wasn't my style. I think I was too deferential to authority to be a really great class clown, to be that kind of rebel figure. I was the guy who tried to be funny to make everybody like me, not to get anybody pissed at me - Peter Sagal of Wait Wait... Don't Tell Me! Listen to our interview with Peter Sagal, and for more in-depth conversations with the voices of public radio from Ira Glass to Jad Abumrad subscribe to the Radiowaves podcast in iTunes or Stitcher. 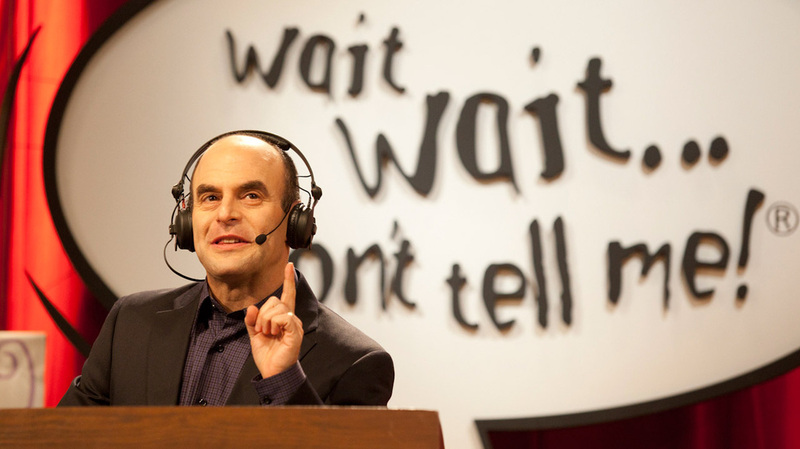 Peter Sagal during a taping of Wait Wait... Don't Tell Me! In this first portion of our two part interview with the famed host of This American Life, we discuss with Ira his beginnings in radio, the slow process it took to find his voice through years of doubt, the tension he had with his parents through his 20's as they tried to convince him to find more financially stable work, and the philosophy that he now brings to storytelling. 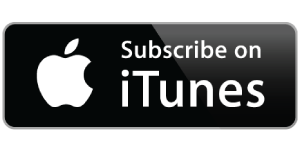 For more interviews with the voices of public radio subscribe to the Radiowaves podcast in iTunes or Stitcher. This is our first episode of Radiowaves and since admittedly it is a meta concept to have a radio show based on interviewing the voices of radio, we thought what better way than to start off the podcast than by speaking to a radio figure who themselves hosts a meta show? So for our very first episode we spoke to Brooke Gladstone, the co-host of WNYC’s On The Media - or in other words, the media show that examines the media. In a way I like to think of On The Medi﻿a as The Daily Show meets NPR's Fresh Air because somehow it manages to be irreverent, insightful, serious and witty all at once. So much of the show's characteristic wit and style owes itself to Brooke Gladstone who not only co-hosts OTM with Bob Garflied but serves as the programs managing director. And that style must be working, because since she and Bob came to the show in 2000 and helped to redesign and relaunch it, On The Media has grown to be carried on over 300 public radio stations across the country. As they say themselves, “In an age of information overload, On The Media helps you dig your way out." In our interview, we speak to Brooke about her unlikely path into journalism, the beginnings of her time with On The Media, and discuss her thoughts on some of the main problems and pitfalls with how the news is covered today. Listen to our interview with Brooke Gladstone below, and to hear more interviews with your favourite public radio personalities, remember to subscribe to our podcast in iTunes.